What is S2.video.ru.net page? Which program causes S2.video.ru.net redirects? How to remove the unwanted program, causing S2.video.ru.net redirects from your computer? 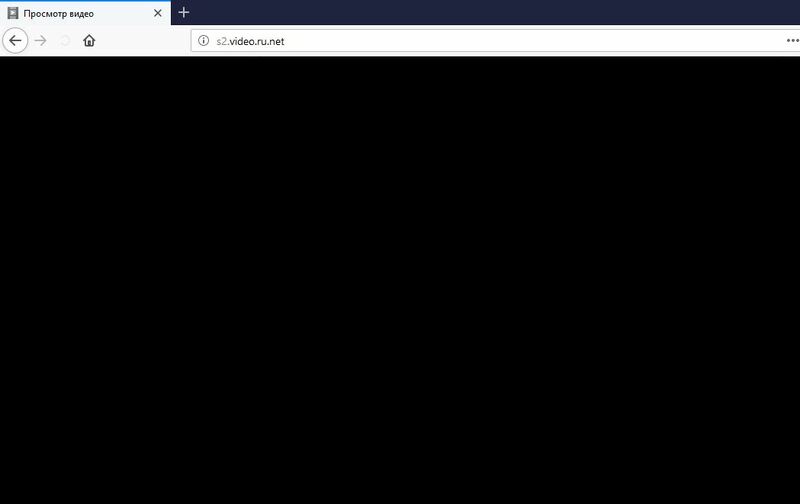 The S2.video.ru.net redirect is a newly discovered threat which is being spread by an unknown hacker collective. So far there is no information about the identity of the hackers and their level of expertise. It might be a singular attack campaign or part of a wider plan that is currently being executed. Like most other malware of its category it can be spread using a wide range of tactics. The main ones are the set up of malicious web sites that appear as legitimate portals, download pages, search engines and product landing pages. Interaction with the site or simply entering it can redirect the victims to a download page or initiating the infection process. The other popular mechanism is to upload plugins to the relevant repositories. They are often placed there with fake user reviews and developer credentials. Additional methods can be used by the developers such as infected application installers, malware documents and upload of the relevant files to peer-to-peer networks like BitTorrent. S2.video.ru.net redirect will start its intended malware code as soon as it has been deployed to the virus files. In the typical case it will alter the settings of the installed browsers in order to always point the victims to a preset page. The default settings which are modified include the home page, search engine and new tabs page. Tracking Cookies Installation — As soon as the site is loaded in the browsers various tracking cookies can be deployed to the victim machines. They will monitor how the users interact with the site and report on their actions to the hackers. Additional Malware Deployment — By being redirected to the malware created pages can lead to various infections including cryptocurrency miners, ransomware and Trojans. They can be done by either clicking on links or interacting with various web elements — text links, pop-ups, banners and etc. Intrusive Advertising — The S2.video.ru.net redirect can be used to display sites containing intrusive advertising. For each view or click the operators will receive a small income fee. The redirect page to which the visitors are sent to can dynamically change depending on various conditions. This means that in an instant all of the dangerous actions that have been undertaken in a prior moment. This also allows for a given attack campaign to shift during its execution. Short Description S2.video.ru.net is a web page, caused by a browser hijacker. It is unwanted, because it may lead you to dangerous sites. Symptoms Your web browser may start to behave in a strange way. You may receive redirects and other types of ads and your PC’s performance may sharply decline. User Experience Join Our Forum to Discuss S2.video.ru.net redirect. The S2.video.ru.net redirect is a common web infection which is commonly found across Internet browser hijackers. They are malicious plugins which are made compatible with the most popular software. Another possible source of infections is the installation of PUPs which are potentially unwanted software. They are designed to appear as legitimate software however upon running them the redirect files will be placed in the victim’s computer and started. Beware of phishing emails that may pose as legitimate services and attempt to coerce the victims into interacting with them which will eventually lead to a redirect installation. Such redirects can be spread via malicious sites that aim to persuade the visitors into thinking that they have accessed a legitimate and safe web page. They are usually hosted on similar sounding domain names to well-known sites and may include forged or stolen security certificates. Infected Documents — The hackers can embed the necessary scrips that will lead to the infection in the most common document file types: presentations, spreadsheets, text documents and databases. When they are opened by the victims a prompt will ask for permissions to run them. The quoted reason is that this is required in order to view the contents of the files. Malware Software Bundles — The criminals behind the S2.video.ru.net redirect can place the installation code in application installers of popular software. They are spread using various methods and are very difficult to detect. The redirect related files can be spread via file sharing networks of which BitTorrent is currently the most popular one. Another frequently used method is the integration of the relevant code into browser hijackers which are malicious extensions made for the most popular web browsers. They are posted with fake user reviews and developer credentials in order to coerce the visitors into downloading and installing them. Such redirects are very useful for launching cryptocurrency miners which will take advantage of the available hardware resources in order to generate cryptocurrency for the hackers. One of the most dangerous effects of having this redirect active is that it can automatically track the users and their web activity. Having access to the web browser means that the active malware will be able to hijack all stored data within: cookies, history, bookmarks, settings and even stored account credentials. All hijacked data will be automatically uploaded to the servers operated by the hackers. The removal of S2.video.ru.net may be a very tricky process, because of the fact that the unwanted program introducing this scam page may have files spread all of your hard drive. This is the main reason why we strongly advise you to follow the removal steps below. They are made so that if the problem persists after step 1 and 2, you can use a powerful anti-malware software(recommended). Be advised that security professionals often advise victims to remove this adware via an advanced anti-malware program. This will help save you significant time and will make sure that all of the persistent files and objects of S2.video.ru.net are fully gone from your PC. Threats such as S2.video.ru.net redirect may be persistent. They tend to re-appear if not fully deleted. A malware removal tool like Combo Cleaner will help you to remove malicious programs, saving you the time and the struggle of tracking down numerous malicious files. Threats such as S2.video.ru.net redirect may be persistent on your system. They tend to re-appear if not fully deleted. A malware removal tool like SpyHunter will help you to remove malicious programs, saving you the time and the struggle of tracking down numerous malicious files. Note! Your computer system may be affected by S2.video.ru.net redirect and other threats. SpyHunter is a powerful malware removal tool designed to help users with in-depth system security analysis, detection and removal of threats such as S2.video.ru.net redirect. 1. Install SpyHunter to scan for S2.video.ru.net redirect and remove them. 2. Scan with SpyHunter, Detect and Remove S2.video.ru.net redirect. Ransomware infections and S2.video.ru.net redirect aim to encrypt your files using an encryption algorithm which may be very difficult to decrypt. This is why we have suggested several alternative methods that may help you go around direct decryption and try to restore your files. Bear in mind that these methods may not be 100% effective but may also help you a little or a lot in different situations. Note! Your computer system may be affected by S2.video.ru.net redirect or other threats. Remove S2.video.ru.net redirect by cleaning your Browser and Registry. Fix registry entries created by S2.video.ru.net redirect on your PC. Combo Cleaner is a powerful malware removal tool designed to help users with in-depth system security analysis, detection and removal of threats such as S2.video.ru.net redirect. Step 5: In the Applications menu, look for any suspicious app or an app with a name, similar or identical to S2.video.ru.net redirect. If you find it, right-click on the app and select “Move to Trash”. Step 6: Select Accounts, after which click on the Login Items preference. Your Mac will then show you a list of items that start automatically when you log in. Look for any suspicious apps identical or similar to S2.video.ru.net redirect. Check the app you want to stop from running automatically and then select on the Minus (“–“) icon to hide it. Remove S2.video.ru.net redirect – related extensions from your Mac’s browsers. A pop-up window will appear asking for confirmation to uninstall the extension. Select ‘Uninstall’ again, and the S2.video.ru.net redirect will be removed. When you are facing problems on your Mac as a result of unwanted scripts and programs such as S2.video.ru.net redirect, the recommended way of eliminating the threat is by using an anti-malware program. Combo Cleaner offers advanced security features along with other modules that will improve your Mac’s security and protect it in the future.